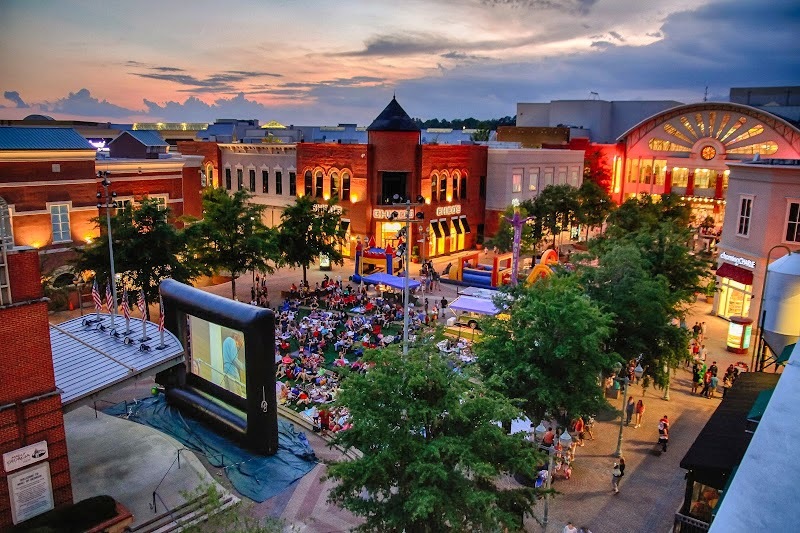 BUFORD, GA (April 29, 2014) – Warm weather is here to stay, which means FREE outdoor family entertainment is set to sound off and shine on the big screen at Mall of Georgia! Celebrate the start of summer with the sixth annual Movies Under The Stars series, presented by AutoNation Mall of Georgia. Beginning May 24, local families and friends can meet on the lawn at the Village Amphitheatre every Saturday through the end of July to enjoy a cinema and concert showcase. With family flicks such as “Frozen,” “The Lego Movie” and “The Hunger Games: Catching Fire” scheduled to play on a 35-foot big screen, this summer series is the perfect way to spend time with loved ones and watch a movie under the stars! To kick off the night, local bands will take the stage at The Village Pavilion at 6:30 p.m. to keep the crowd dancing until the sun sets. Then, the feature film will play at The Village Amphitheatre on the 35-foot big screen. There will also be a variety of summer snack favorites, including Skip’s Hawaiian Shaved Ice, popcorn, cotton candy and more. As always, shoppers are encouraged to bring blankets and lawn chairs. Come early, claim a spot and take in the sights and sounds of summer! o Kids Zone opens for family fun: 5 p.m.
o The Brent Gafford Band: 5 – 7 p.m.
o The Woody’s: 7:30 – 9:30 p.m.
(770) 271-9458 or email CaCox@simon.com. *2014 Movies Under The Stars Series partners include AutoNation Toyota, Fiat and Hyundai Mall of Georgia, LEGOLAND Discovery Center, Gwinnett Magazine, Gwinnett Daily Post, Gwinnett Braves and Costco Mall of Georgia. on Facebook, Twitter and Instagram, or call 678.482.8788.